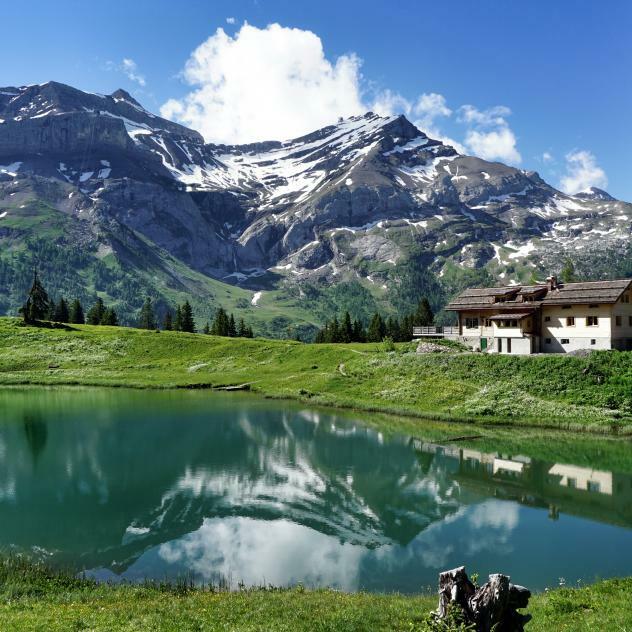 Medium difficulty trail which gives you various views over Les Diablerets, Le Pays d'En-Haut and Lac d'Arnon. From Lac Retaud follow the footpath until La Marnèche (above Isenau) then continue on to the Isenau mountain chalet. To the left follow the narrow track leading to Arpille then carry on upwards on the right until you reach the summit of La Chaux. The route descends again to Col d'Isenau then Col des Andérets, where you should take the path to the right towards the Chalet Vieux mountain pasture and then the Col de Voré. From there the path descends again to Lac Retaud. In the mountain pasture chalets Isenau and Chalet Vieux you can find local products (cheese, serac whey cheese, etc.) 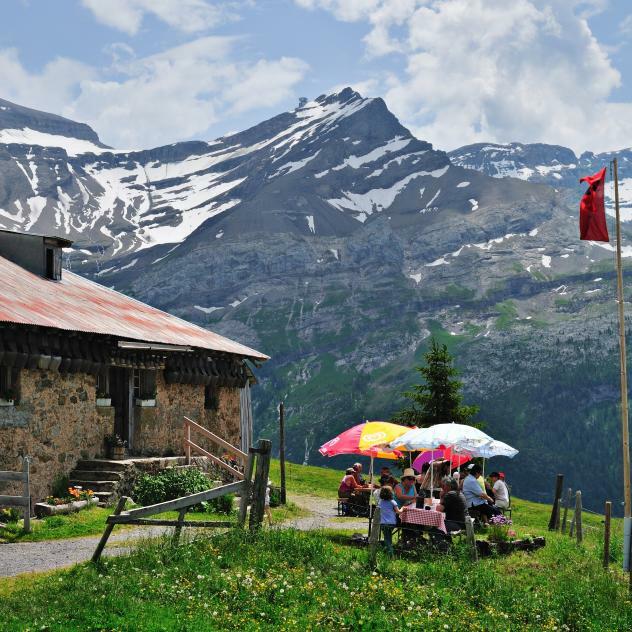 La buvette de la Marnèche with its charming terrace offering stunning views of the Diablerets mountains awaits you. By postbus from the Diablerets railway station to Col du Pillon then by Diablobus from Col du Pillon to Lac Retaud (during Free Access Card periods).